First of all I found this great article describing the Schofield Beater, which in bronze is my favourite of their range. Then their regular newsletter arrived in my in box. These newsletters would be worth opening just for the quality of the photos like this one of a batch of Signalman’s awaiting dispatch. This week we had the pleasure of sitting down with David Brailsford, the Founder of Garrick Watches to discuss British watchmaking, collaborations and what the future holds for the brand. 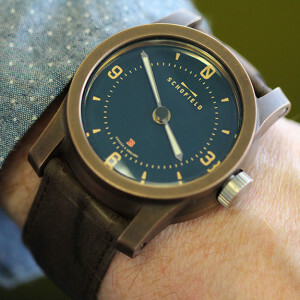 Garrick was launched only last year, and they’ve already introduced a second model, the Hoxton with calibre SM302. Our new reporter from the UK, London-based Justin Hast, sat down with David Brailsford to learn more about Garrick and its future plans. For starters some photos of the Shaftsbury that was introduced last year. 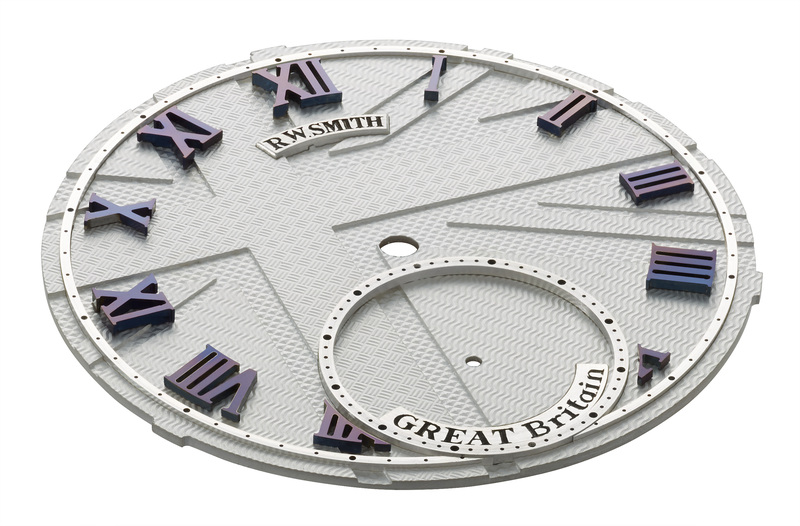 In our write-ups on this piece, which also covered a part of history of British watchmaking, we told you about its seriously modified movement that is equipped with a free sprung balance – that plus some of the new bridges are made in Britain. Mono: Why do you feel there has been a resurgence of British Watchmaking? DB: I don’t feel that there has been a resurgence of watchmaking. There has certainly been a resurgence in British watch brands but not necessarily watchmaking. Britain has some great watchmakers, however, starting a watch brand is prohibitively expensive, indeed it is extremely difficult to build a watch in this country. 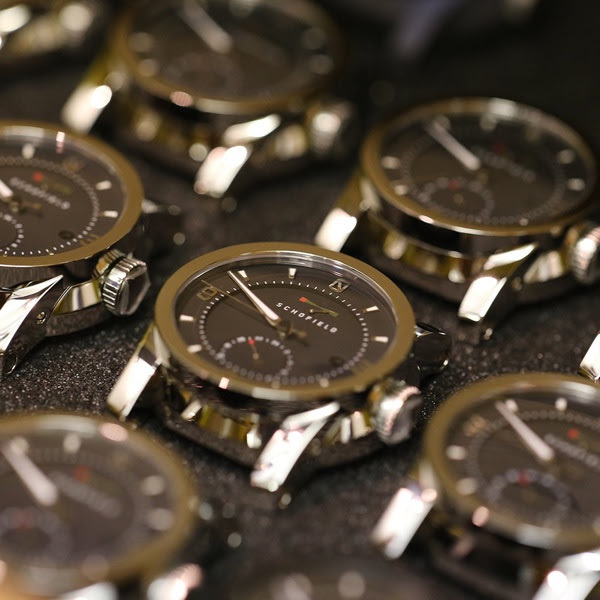 The industrialised production of watches has seen the Swiss and Germans become the dominant players in the market enjoying great economies of scale. Mono: What percentage of your business is bespoke commissions? Mono: What attracted you to the Unitas movement for both the Shaftesbury and Hoxton? It was always our intention to build a hand-wound watch. The Unitas 6498 has been a reliable movement for many years. The movement facilitates modification allowing us to fulfil the needs and expectations of our clientele. Mono: Where did you get the names for both models from? DB: As a British brand, we wanted names that were synonymous with our great nation. Mono: Why did you choose to have a free sprung balance wheel? DB: We felt it was very important to create something unique and showcase our in-house technical expertise. A free-sprung balance using Invar, a thermally compensated alloy for the balance wheel and a Nivarox hairspring conferred benefits in terms of accuracy, however we appreciate that this approach would prove difficult for large organisations to serially produce reaffirming our belief that small is beautiful.The watch is accurate to +3 seconds irrespective of the position in which the watch is held in. Mono: Why did you choose to finish the bridges with a Côtes de Genève style? DB: It was very important to showcase traditional watchmaking skills. I think our clients take great delight in knowing that every movement is finished by hand. We chose to impart the Cotes de Geneve motif to the bridges employing a narrow stripe. This accentuates the slim bridges which freely disclose the micro-mechanics beneath. Mono: Do you feel dress watches are moving towards smaller proportions (as seen in years gone by) as apposed to the seemingly larger and larger trend? DB: Yes, I do. I have never been a fan of larger watches and have always found that most collectors dislike oversized wristwatches and I perceive that cases of 39-40mm will prove popular in the future. It is worth mentioning that the diameter of the movement dictates the size of the case. Mono: Your dials and hands are made in-house, can you tell us a bit more about how you developed these? DB: We turn the dial on a lathe from brass or aluminium and these are known as dial blanks. All surfaces have to be extensively cleaned prior to the pattern being imparted to the dial surface using engine turning techniques. This process alone takes one hour per dial. Thereafter, we bead blast the dial to remove any imperfections prior to it being dispatched to a local company to be anodised. Alternatively some dials are enamelled by our in-house artisans. The chapter rings are secured to the dial using either stainless steel or thermally blued screws. Our thermally blued screws are heat treated by hand, on a bed of copper filings. Many people inquire as to why we don’t countersink the screws. The rationale for our decision was to confer depth to the dial surface. Furthermore, we wanted to accentuate the blue hues of the thermally blued screws which glisten in ambient light. Part of the Garrick paradigm is the concept of bespoke, therefore if a customer wants the screws to be countersunk we will gladly accede to their request. Potentially every Garrick watch is unique. Mono: What is your vision for Garricks movements in the future? DB: We are very proud to have Simon Michlmayr FBHI as part of our creative team. Simon along with a talented team of English based Swiss trained watchmakers, craft timepieces by hand to exacting standards. It is important to Garrick that we continue to innovate new movements and timepieces and we are actively progressing new concepts and designs. We are currently working on some exciting projects which include plans for a new movement. Mono: As we see more and more brands collaborate with groups and societies do you foresee Garrick doing the same in the future? DB: Absolutely. Watch this space! Mono: What does 2015 have in store for Garrick? DB: We are delighted with our journey so far, however, we are not complacent and recognise that both challenges and opportunities lie ahead. We plan further innovative products imbued with a high degree of British content. We believe that whilst we are a small company, compared to most larger players, this bestows benefits such as flexibility, short lead times and the capacity to meet individual needs and it is for this reason we are optimistic for the rest of 2015 and beyond. 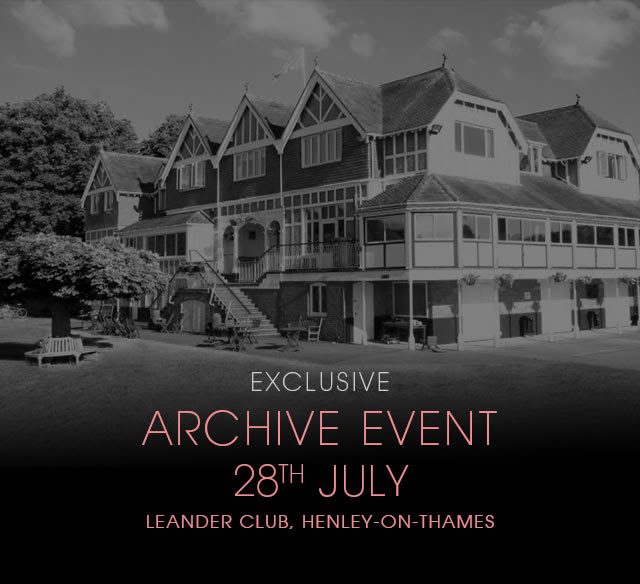 Christopher Ward will be holding an Archive Event with over 100 rare ‘gems’ from the back catalogue available for sale. Here is another new brand I have come across, this time from Islington. Lloyds Watch company currently offer one model, the Series A. This watch will be limited to 500 pieces worldwide. The watch retails at £1099.99 (inc VAT I assume). Bremont have this pleasant little video on their website explaining their collaboration with Boeing. Worth watching if you have a moment. It gives a little more sense to the relationship. 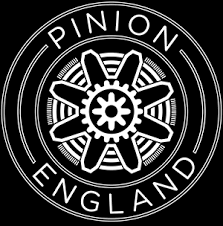 This month I was lucky enough to be invited to attend the Pinion Apex event in London. 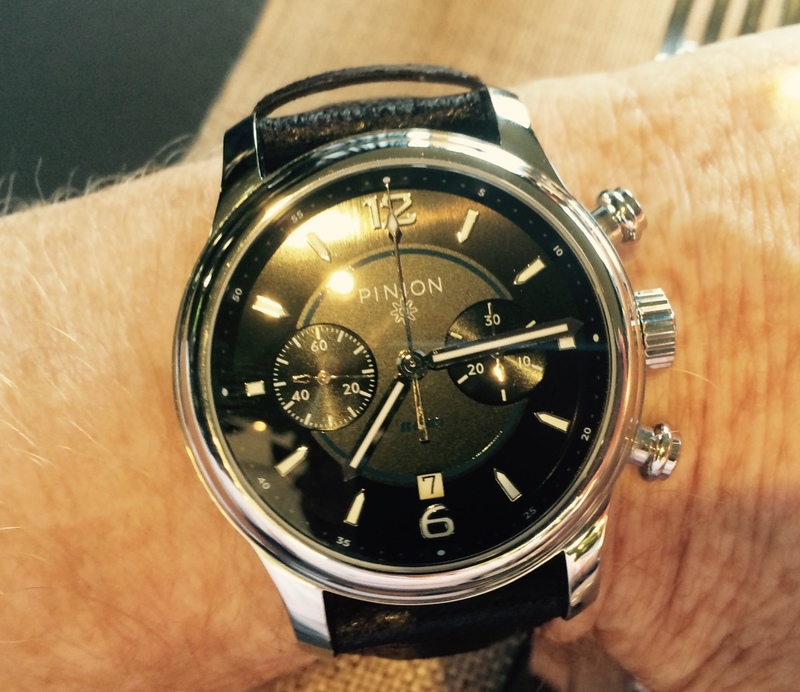 This is a meeting were watch lovers have a chance to chat with Piers Berry the founder of Pinion watches. I must firstly thank Piers for the invitation and say what an enjoyable event it is,. Unfortunately, due to an early flight the following morning, I could not stay as long I would have like as I have loads of questions to ask. 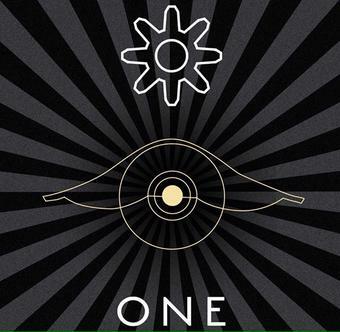 I was especially intrigued to attend this event as I had seen the tweet about “Pinion One”, potentially exciting news. On this point no official announcement was made, Piers says we will have to wait until the autumn, but has promised to let me know as soon as possible. Watch this space! 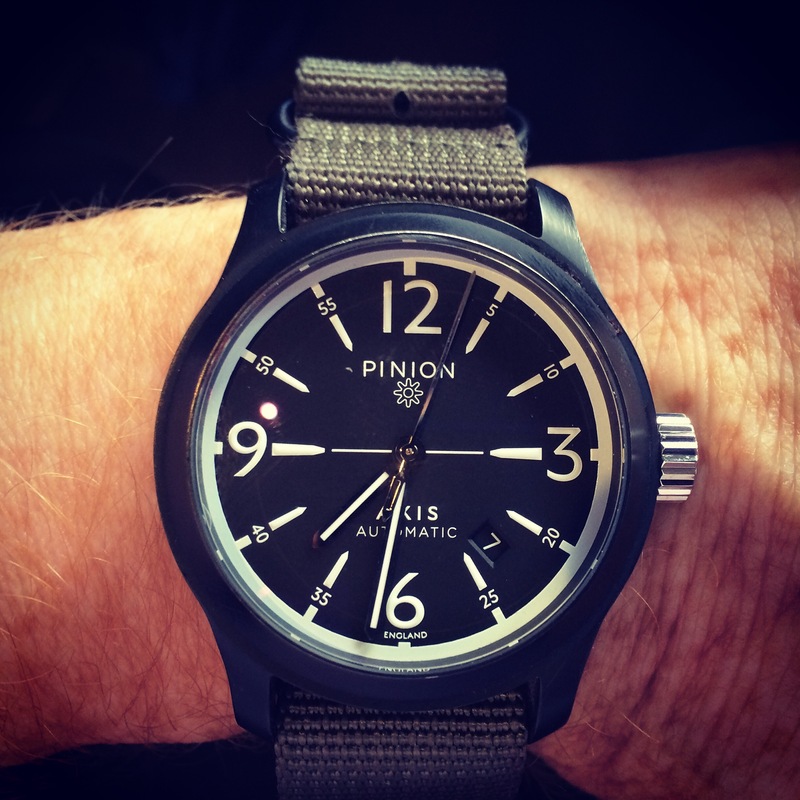 Despite this slight disappointment I get to see the Pinion watches in the metal and try a few of them on. One of my favourites is from a category of watches that has interested me for sometime, bronze. This is the classic Pinion Axis. As with all these watches I was worried the 1969 Revival would be too large for my puny wrist, amazingly, as you can see, they all wear pretty well. 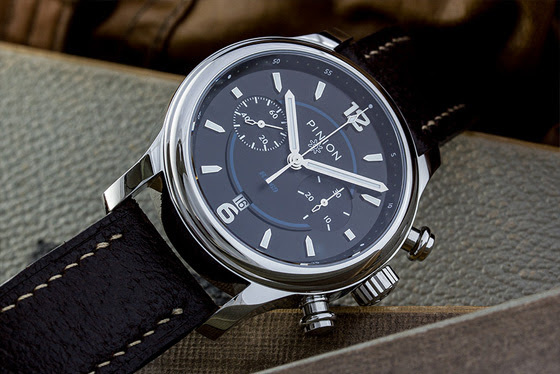 Pinion is one of my favourite of the new British watches, this is mainly because the watches speak for themselves. They are well designed reliable watches that do not rely on marketing generated “heritage”. Well done Piers. 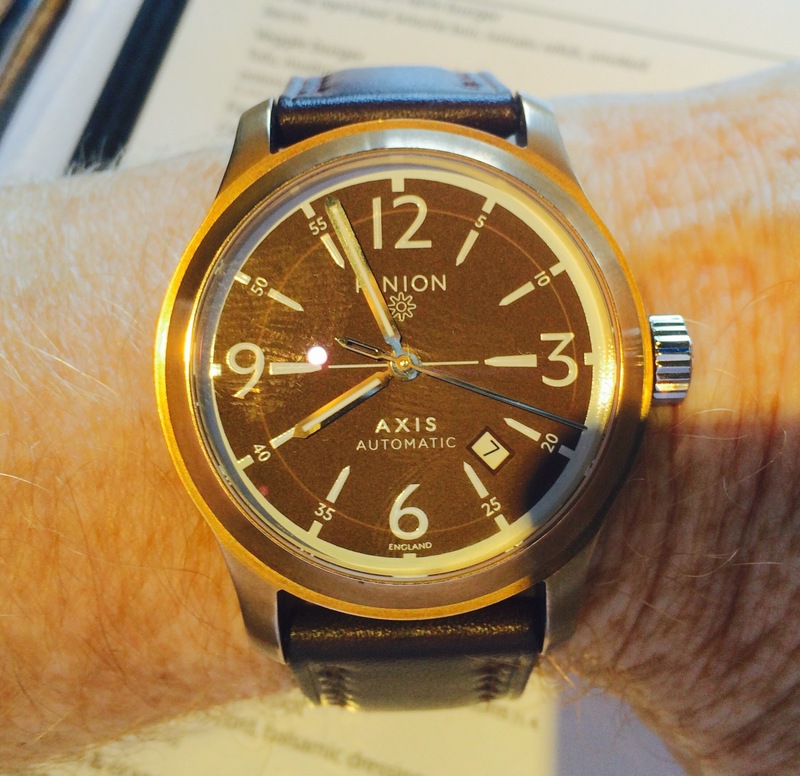 Here is another opportunity to understand the views of the current “British watchmaker”. WATCH LIFE – An exclusive interview with Roger Smith from WATCH XCHANGE on Vimeo. 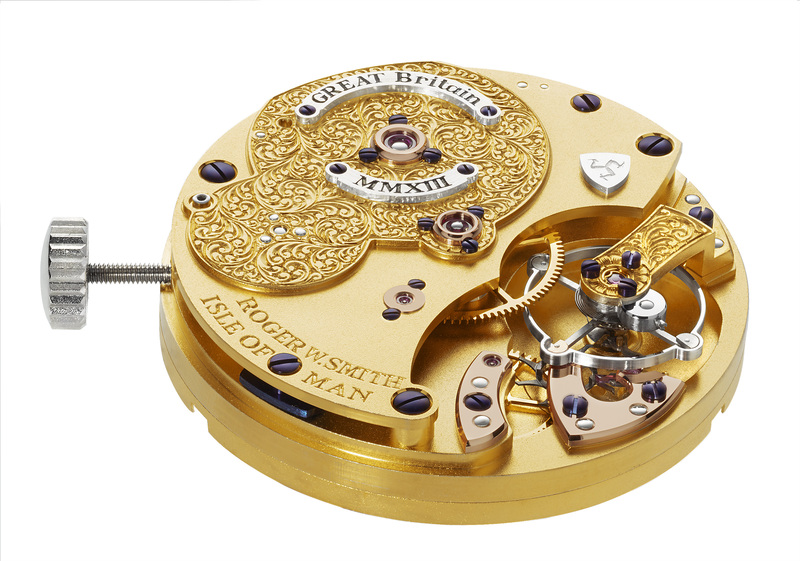 Roger Smith is an independent British watchmaker, formerly apprenticed to the late George Daniels. His relationship with Mr Daniels is the subject of an upcoming documentary, “The Watchmaker’s Apprentice”. In our exclusive interview, he explains how he came to live on the Isle of Man and how this has shaped his work. Roger discusses his relationship with his own apprentices, his views on independent watchmaking and his hopes for the future of British horology. Roger was kind enough to share his insight into some of his fantastic designs; such as the Series 2, the smallest production wristwatch in the world, The GREAT Britain Watch and his latest piece, the Series 4. We asked him about his thought process, how he tackles new challenges and why he won’t be increasing production anytime soon (approximately ten watches a year). Finally, he showed us what kind of watches he himself collects. It was a privilege visiting his workshop and we hope you enjoy listening to him as much as we did! Many thanks to Roger, his wife and all his colleagues for their generosity and hospitality.